Very satisfied with our new basement floor! 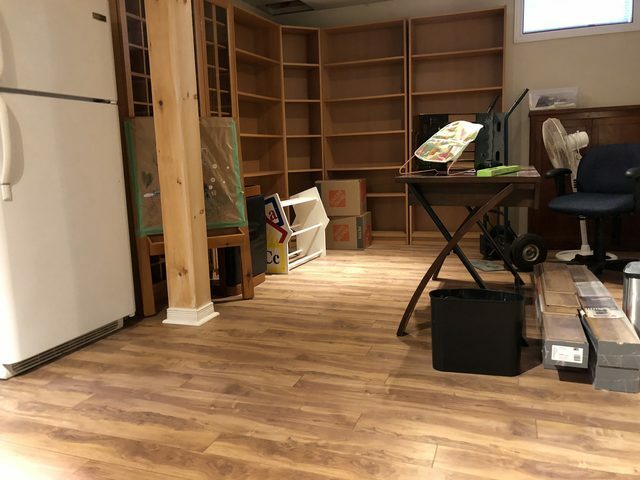 When our basement was flooded, my wife and I explored our options for redoing our basement floors. We got quotes from three companies that were recommended and highly-rated. 3. We were impressed by Josh during the whole process. We found Josh to be extremely personable and professional. There was no high-pressure sales tactics and he kept his word in terms of scheduling and pricing. The installers were also very impressive. They were both friendly and did great work. They kept our house clean throughout the process, which lasted from morning to late afternoon. We are extremely pleased with the end result. Our new floors look 100% better than our old ones. We highly recommend Floor Coverings International and Josh’s great team. Josh and his team were fantastic! They offer a wide variety of flooring types, styles and colours to choose from, and Josh was very helpful when it came to our selection. The install was quick and clean - we had existing cracked tile replaced with vinyl tiles. They made it very easy and hassle free, and were always prompt and honest. Everyone we worked with was friendly and helpful! The new flooring really made our kitchen pop! We would highly recommend them to anyone looking into flooring replacement. They are first on our list to call for any future flooring projects! We had runners installed on all three sets of stair cases. 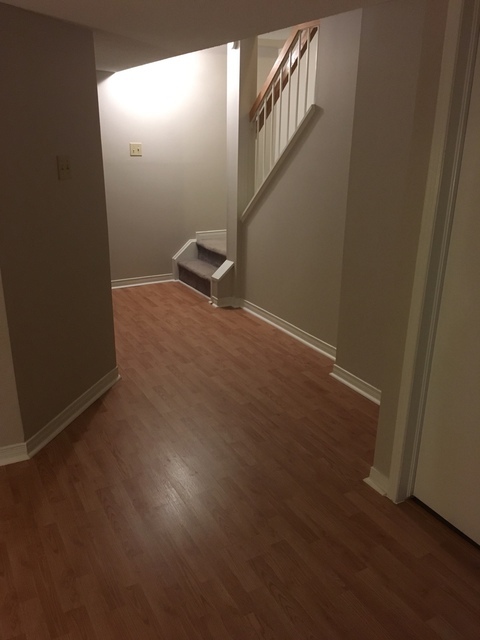 Floor coverings did a great job and the project was done quickly. Thank you so much for your kind words. Great working with you. I can't say enough about the excellent experience I have had with Floor Coverings International. Recently (November 2017) they installed hardwood on the main and upper floors of my home and carpet on the stairways. The customer service I received from Josh and his team was outstanding. From the outset and throughout the process Josh provided excellent advice and solutions that exceeded my expectations. The crew was friendly, professional and quality work was completed in a short timeframe. I am really happy with the results and would highly recommend Josh and his team... my home is transformed!! Cannot thank you enough for your kind words and business. It was a pleasure working with you and making the process seamless from start to finish. We had to replace the carpet on stairs. Josh was very knowledgable, and the fact that he brought samples with him was an excellent bonus. It was so much better than trying to pick in a store. If we ever had flooring needs in the future we would definitely use Josh again. His installers were excellent. And they all showed up on time! It makes it so much easier to select your flooring when we bring it to your door. That is one service that makes Floor Coverings International Ottawa East unique. A small job for them and they treated me like I was getting the whole house done. They are professional and courteous. My stairs are perfect and beautiful. So happy we helped transformed your home! Chris from Remember Me Roofing Inc.
Great job! Our new hardwood floors look great! Everything was installed quickly, on budget and on schedule. They didn't leave any mess behind. Josh checked the work at the end for quality control. I would recommend them. So glad that you were pleased with our services. Many thanks for your business! They did a very good job. The quality was great and they were only there for a few hours. I've seen nothing but professionalism. I'd totally hire them again on my next flooring project. Thanks for your business and vote of confidence. Would be a pleasure to work with you again! Floor Coverings International offers the best 'in-home' flooring experience. When you're interested in ANY flooring job in your home, we’ll come out to meet you for FREE! When we come to your home we bring our Mobile Showroom with over 3,000 samples of different types of flooring so that, on this free visit, we’ll be able to show you your product choice in the light of your own home! We'll also measure your area and provide you with a final quote, all in the same visit. We sell and install all of the best major brands and name brands of flooring products including, carpet, tile, hardwood, vinyl, luxury vinyl, laminate, stone, designer area rugs and more! The best part of what we do is being able to see you in your home. Being in your home allows us the opportunity to evaluate your needs and discover the best choice for you. We love offering every customer their own unique experience depending on their space and personal desires.